Two of the finest German athletes at the Invictus Games Orlando 2016 are Master Sgt Naef Adebahr and Master Sgt Kai Cziesla. The German duo are caregivers and staff members of the Federal Sports School and run a sports therapy group in their homeland, aiding wounded, ill and injured soldiers. MSgt Adebahr and MSgt Cziesla sustained wounds during their active service in Afghanistan. Msgt Adebahr was hit by three bullets in 2010 during an ambush on German airborne infantry members. It was one of the heaviest battles for German troops in Afghanistan, leaving several heavily wounded and three who made the ultimate sacrifice while defending their country. Six years later, MSgt Naef made it to the Invictus Games Orlando 2016 finals in the 100m and 200m track events, collecting a much-deserved bronze medal in the 200m event. MSgt Kai Cziesla was wounded by an IED in Afghanistan in 2010 and nearly lost his leg. MSgt Cziesla started his rehabilitation in a state of mental and physical distress and over the last six years, he’s travelled a difficult path on his road to recovery only to prove that he is unconquered. Not only has he competed in the Games, but he coached the rest of the German team in indoor rowing. His amazing performance and efforts earned him the silver medal in the four minute endurance rowing competition with an impressive score of 1,234m. Msgt Cziesla plans to tattoo the medal and the date of his injury on his injured leg following the Invictus Games Orlando 2016 to signify that he is the master of his fate. Not only have they succeeded here in Orlando, but they will continue to inspire and support injured soldiers through their work at home, where both soldiers will take lessons learned from the Invictus Games and apply them to their sports therapy program as they aim to grow the organization. They are role models for other soldiers suffering visible and unvisible wounds around the world. Msgt Adebhar and Msgt Cziesla are captains of their souls. They are Invictus! Several of the German competitors suffer from invisible wounds of war and were nervous to attend both the Opening and Closing Ceremonies. While this fear may exist, they did not let it hold them back. 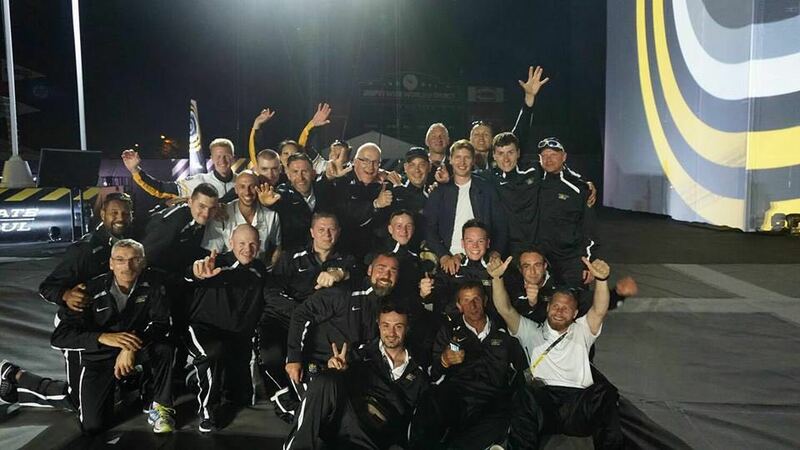 Each competitor was deeply moved by several facets of the Ceremony, including having their photo taken with British songwriter James Blunt during the show! The German team shared that they can’t wait to be involved in the Games next year. They plan to select competitors who are the most deserving to represent their country during the Invictus Games Toronto 2017.